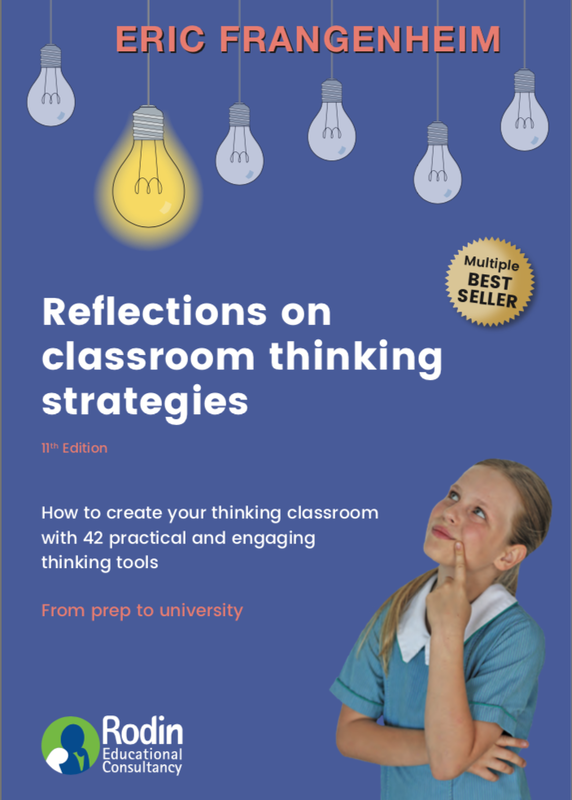 The 11th print edition of Eric’s best-selling book of 35,000 copies, Reflections on Classroom Thinking Strategies: How to create your thinking classroom with 42 practical and engaging thinking tools, is now available for order. Please contact me by email directly for discounts on bulk orders for schools, universities and bookshops. You may notice Reflections (11th edition) is sporting a charming new front cover, featuring my beautiful 10-year-old granddaughter, Grace. She is a vibrant, proactive learner – just the kind of student we all want to nurture and support as teachers. Sign up for our e-news to hear about the imminent release of the e-book digital version of Reflections. 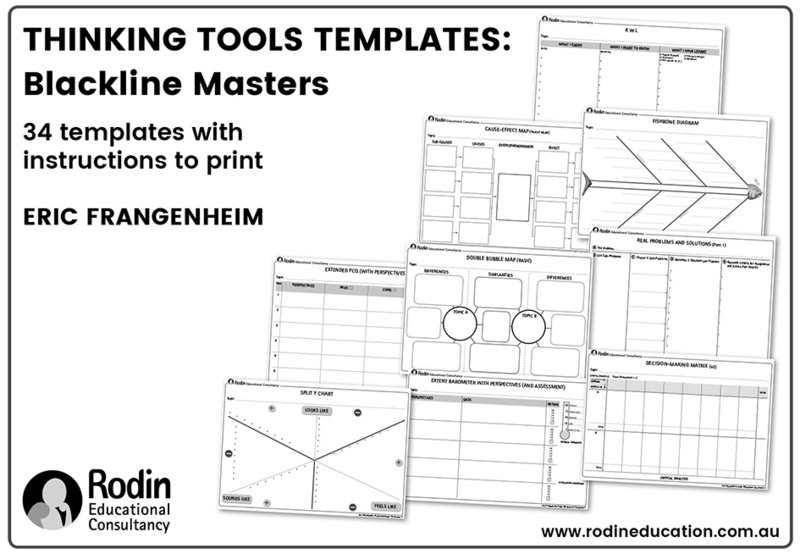 We’ll also be sharing step-by-step guides to some of our favourite thinking tools you’ll find in the book. Shipping rates apply for every order. For orders of 1 book across Australia, the flat rate for shipping is $7. For orders of 2-5 books, the shipping rate is $15. For orders of 6-9 books, the shipping rate is $20. For 10+ books and for international orders, please contact us directly to confirm relevant shipping rates.